OLD PARKED CARS. : 1984 Renault Encore Hatchback. plainest car i've ever laid eyes on, methinks. the flesh-colored paint is not an illusion. the other encore hatchback i once spotted fewer than five blocks from this very spot. i half assumed this was the same car but shot it anyway. Nope, the other one was white anf had different hubcaps. 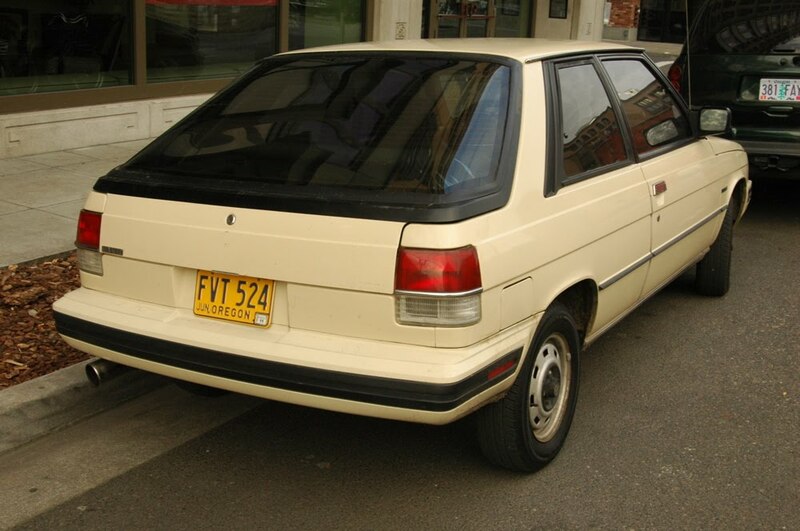 The 3-door hatch is the rarest of all the Encores. Great to see one in damn-near showroom condition. My Dad had one of these. Probably the worst car ever. It didn't last to 30,000 miles. With two peopl ein the back the tires actually scraped the wheel wells. It was in the shop 17 times in one year. Looking at this thing really makes me glad I wasn't a Renault salesman at the time. But actually I'd love to meet one someday to hear some stories about these! A college buddy had one of these "back in the day". He woke up one night on I-75 to the sound of semi tractor wheels rearranging the right side coachwork after he fell asleep and drifted into the next lane. I recall seeing one in a child hood neighborhood just like this one back in the mid 80's. I also ahad a friend with a charcoal grey 4 door Alliance, the ones with the little rack on the back trunk. Was actually pretty good looking. The Encore (when it ran) if equipped with the anemic 1.4 liter, could achieve Sprint like MPGs. My assumption is this one has been owned by the same elderly person (now) since new. They drive it very little. 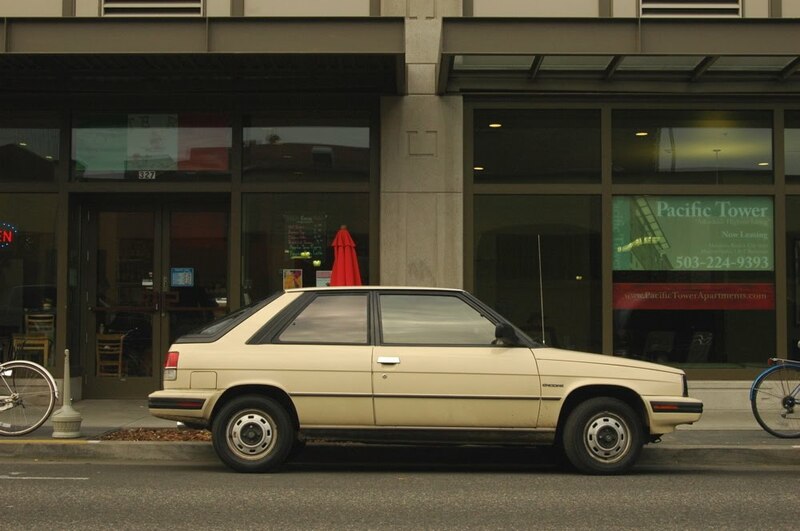 Always thought these were UGLY, I prefer the Alliance coupe, over this one. 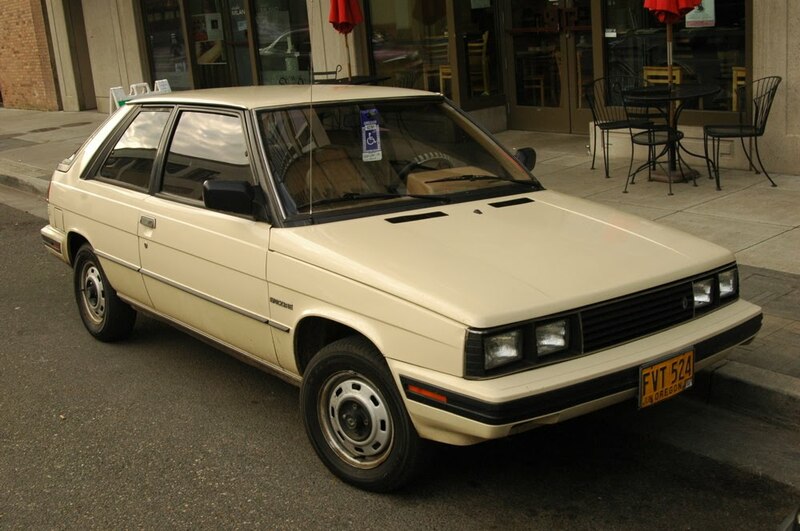 My friend Troy said his most reliable car, was an '83 Renault Alliance. Go figure. I like the sporty Alliance GTAs... although, they weren't very fast, they were nice looking and very rare. Try finding one. I know my cars, but I can't say that I've ever seen one of these in my life, ever. Worst car I ever owned matched by terrible service from the dealer, who had it more than I did. Seats were amazingly comfortable, though. You could feel quite relaxed while you waited for the tow truck. 10 years ago I still saw an occasional one, but there pretty much extinct now. That was my first car. Mine was navy blue, bought it used for probably $1000. Wasn't worth a dime. Drove it for less than a year. Headlights and dash lights would quit working sporadically while driving, would stall and not re-start, had to be towed several times. 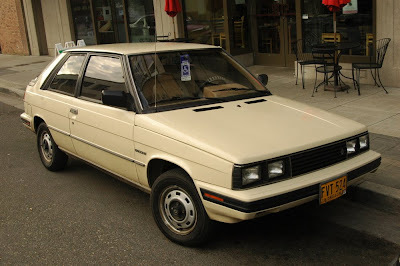 After the dealer told me the only way they could fix these cars was to start replacing computer chips (at a cost of $15 to $500 each) and see if that fixed it I opted to ditch it and get a Toyota Tercel SR5, one of best cars ever. 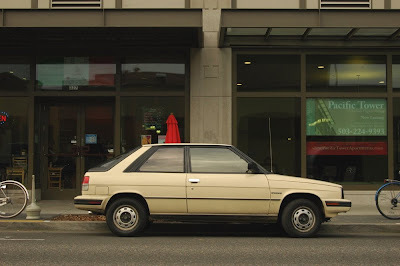 I loved these cars, reminds me of home, but the Renault 11 (French sibling of the Alliance) was a much more reliable car than the American counterpart. I lived near Milwaukee and since these cars were made in Kenosha, Wisconsin got most of the Renaults built in the country. Back in the 90's, these cars were everywhere honestly, but after 2005 80% of these cars dissapeared from the roads. One day last year when I was driving on I94, I saw a nice conditioned Renault Encore with collector plates. Of course the drivers were elderly and was driving the minimum of 65 on the right lane, it had some grace getting passed I must add. French cars are getting more rarer and more wanted these days.